A primary objective of the Center is to serve as a conduit promoting physical and mental wellness for the University and broader Pittsburgh community. Current research supports the fundamental role played by mindfulness practices in improving one’s ability to access and develop personal resources for coping effectively with stress, emotional and physical difficulties, and illnesses. At the same time, mindfulness can be a key component towards the development of empathy, attentiveness, and a sense of community. Mindfulness practices are known to improve quality of life, reduce job burnout and stress reactivity, improve disease management, and enhance attention and concentration in diverse work situations. 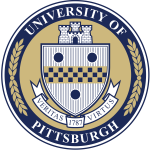 Since 2004, the University of Pittsburgh’s Center for Integrative Medicine has maintained an 8-session Mindfulness-Based Stress Reduction (MBSR) program for the greater Pittsburgh community and for University staff, faculty and students. MBSR instructors have also provided workshops and presentations to students and the larger community. The Center seeks to support and expand these offerings. Our other programs for well-being include mindful yoga, self-guided as well as group meditation sessions, and silent retreats.